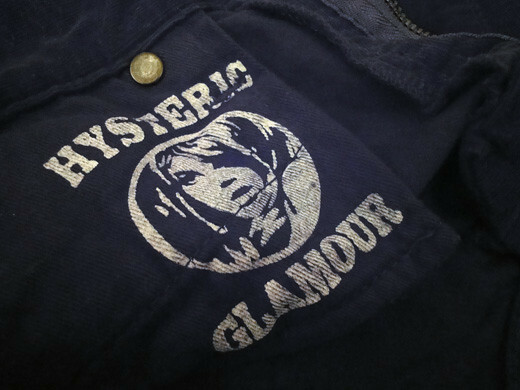 I got black corduroy pants from Hysteric Glamour. 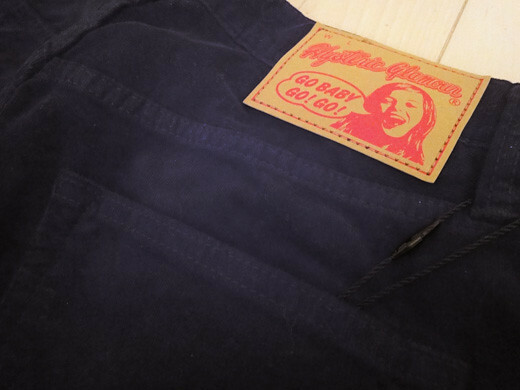 I love to wear corduroy pants with very simple design in winter season. 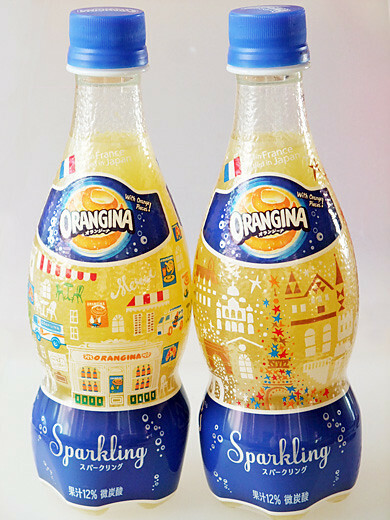 Japanese ORANGINA wears holiday bottle wraps, twinkle stars Eiffel Tower motif and colorful cafe scenery. 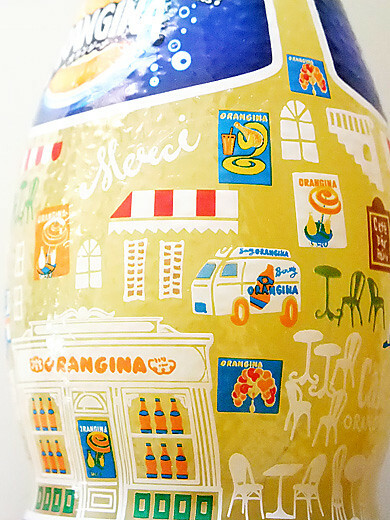 Tiny ORANGINA’s historical posters (originals from France) are so cute!! 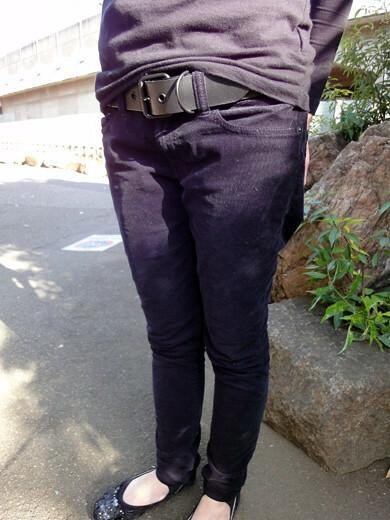 I got an A-line black wool skirt from Marc by Marc Jacobs. I like the very simple A-line design, and it might look nice with any tops. 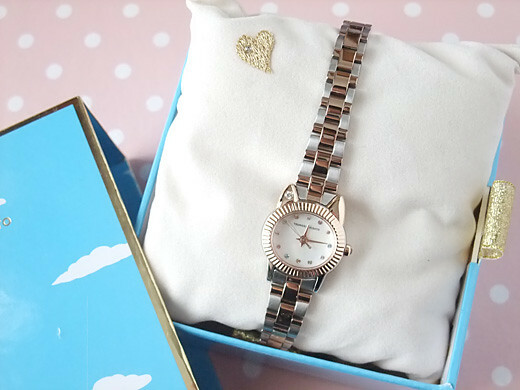 I got “BIG CAT HOLIDAY” watch and “Journey cat!” before, and my latest cat faced watch from Tsumori Chisato is “komanekineko”. “ko” means like small. 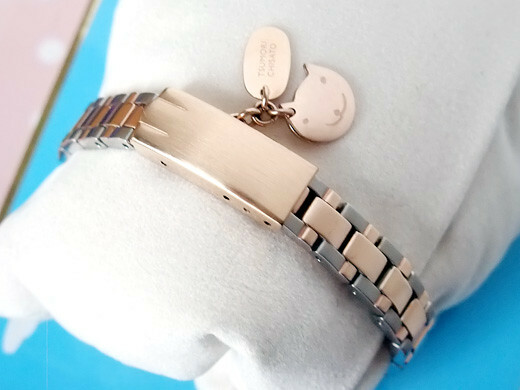 I love this small manekineko, the tiny face is decorated with colorful swarovski rhinestones, clasp backle shaped like cat’s paw. Adding that more, oval “koban” (ancient Japanese coin) and happy cat’s face charms attached. 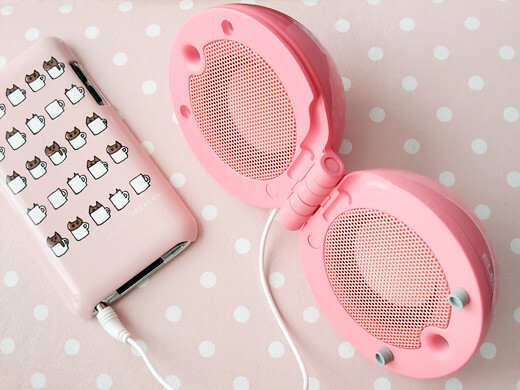 These details makes me smile! 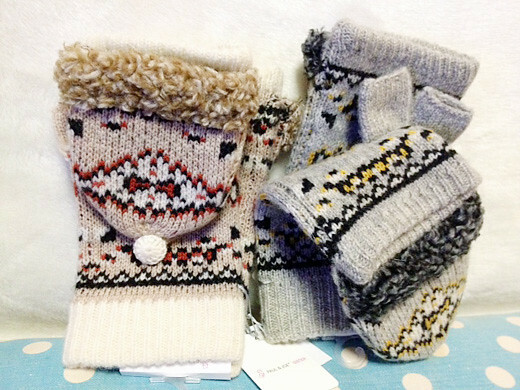 I got the lovely fingerless gloves mittens from Paul & Joe Sister. The mittens are basically fingerless gloves, with extra mitten flaps above the knuckles. I guess these warm mittens can match my classic style coat. 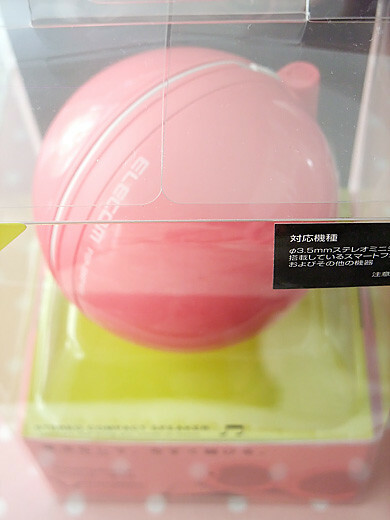 I got a cute sphere shaped speaker by Amazon.co.jp Cyber Monday sale! 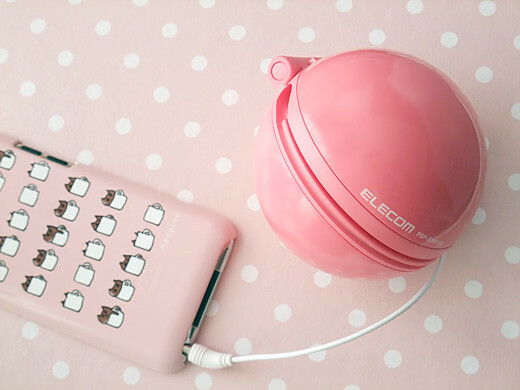 No need to set electric batteries, it’s handy and good to bring anywhere. 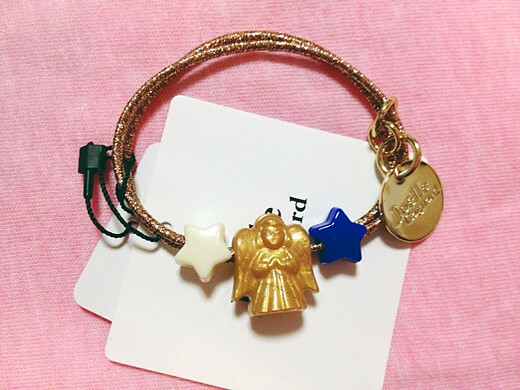 I got an angel & stars ponytail holder from Joelle Gagnard. 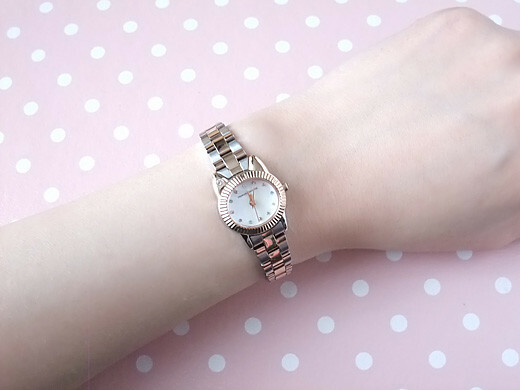 This lovely ponytail holder is a fun, cute way to style my hair. 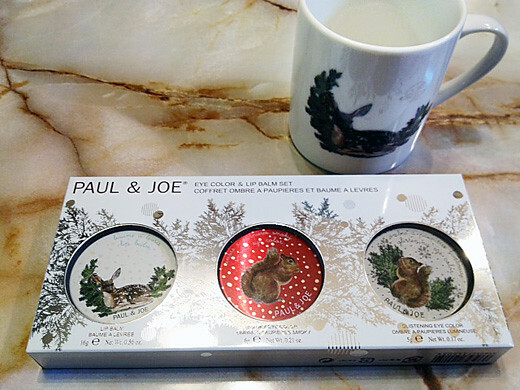 These are lovely eye colors & lip balm Set from Paul & Joe Holiday 2012 Makeup Collection. 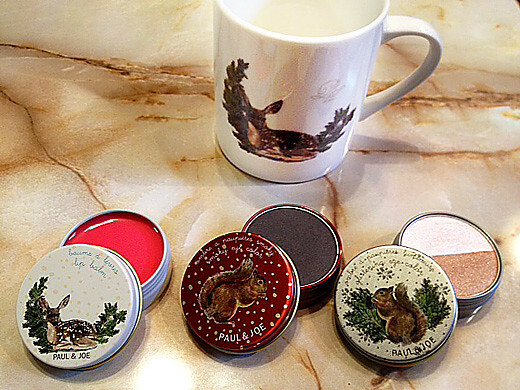 The Winter Wonderland set “a glistening eye color, smoky eye color, and lip balm” is limited-edition collection. 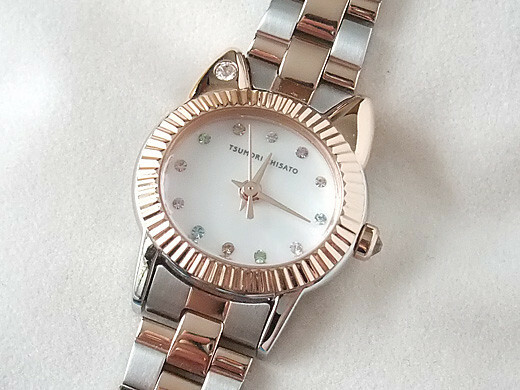 I especially love the dynamic duo of delicate colors includes a sparkling white and shimmery brown shade.